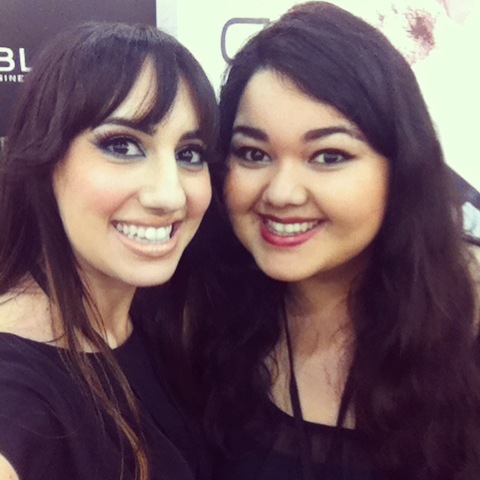 The Los Angeles IMATS (International Makeup Trade Show) returned this past weekend to the Pasadena Convention Center. It might seem like it’s too soon, and that’s because it’s normally in L.A. in June. The IMATS bosses decided to switch it up and host IMATS in London in June, and L.A. in January (most likely due to London’s freezing winters). 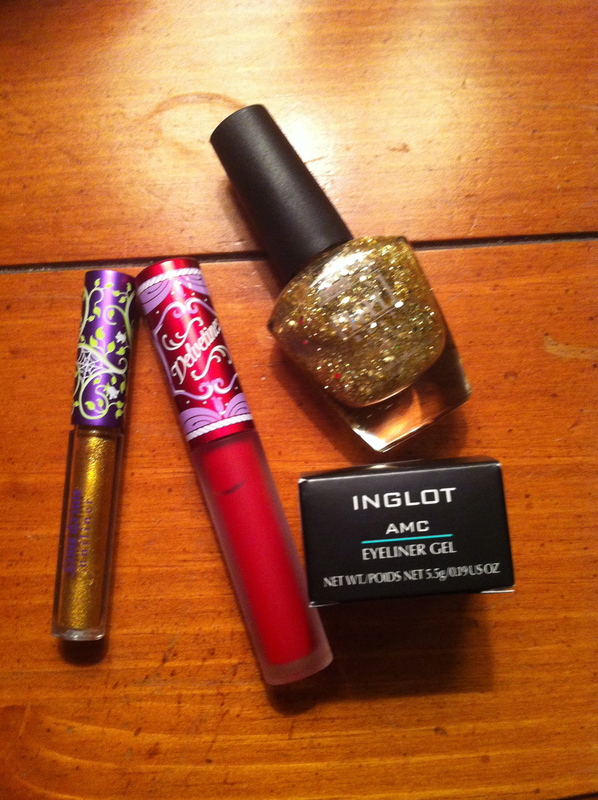 The last two times I went to the IMATS, I got some fantastic deals, but unfortunately, I don’t do well in large crowds. Literally THOUSANDS of people go to the IMATS and Saturday and Sunday are always sold out. It is jammed booth to booth with people and everyone shoving and pushing each other. I had originally decided to skip the IMATS this year to avoid mean foreigners and strollers with crying babies, but I got an opportunity to help out at the MAC Cosmetics booth on their Pro day (Friday). Let me tell you…Pro day is such a different experience. Everyone in attendance is a makeup artist, and it’s not sold out, so there is room to breathe. Here’s part of the crew at the MAC Booth. We had so much fun working together! 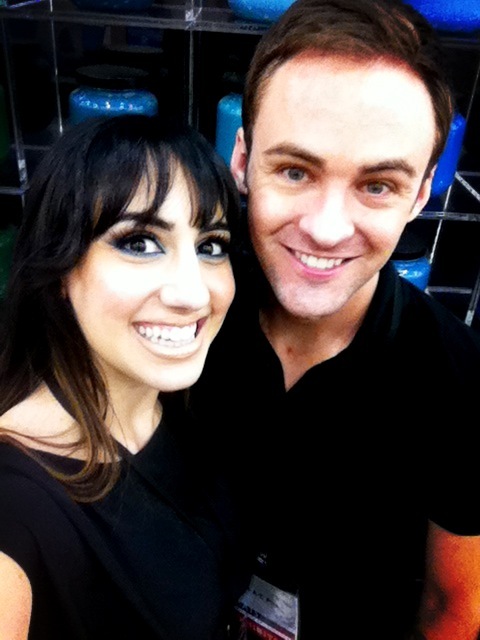 One of my favorite people I met in 2012, Jorge from MAC Pro. He loves playing dead in photos, ha ha! He’s very artistic and has the most unique/hilarious personality. I bounced on over to the Lime Crime booth where I found Doe Deere and her lovely team, who let me preview their brand-new, not-yet-for-sale Glitter Helper. 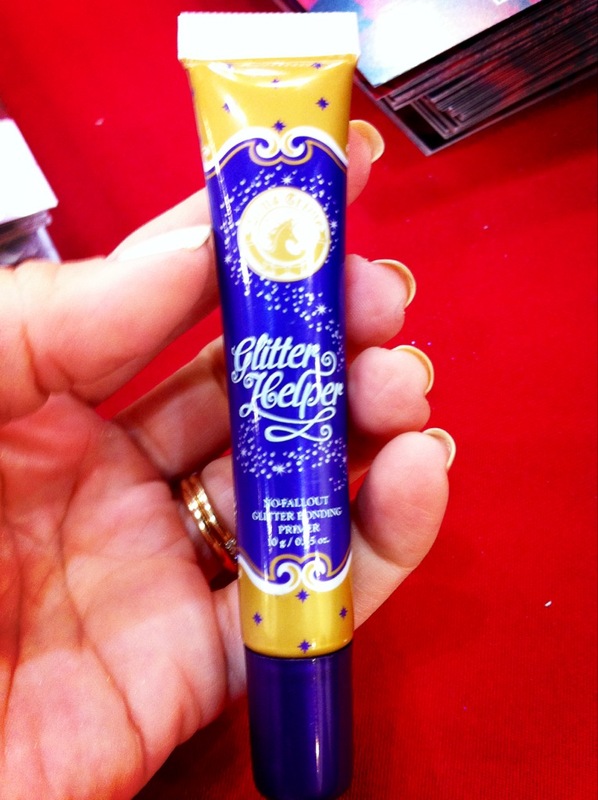 This is a skin-safe adhesive that keeps glitter on without getting muddy. Best of all, it’s cruelty-free and vegan-formulated. 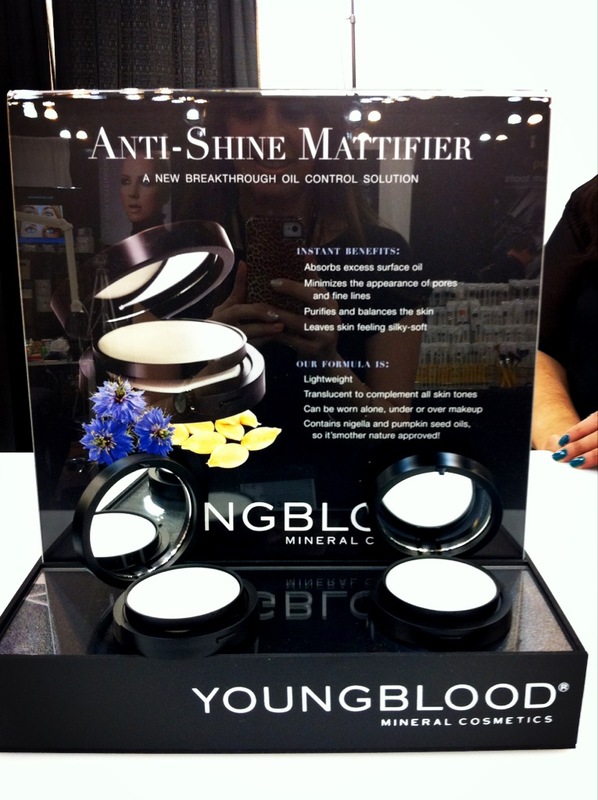 I also had the chance to pop on over to the Youngblood Cosmetics booth where I ran into PR-sweetheart Crystal. 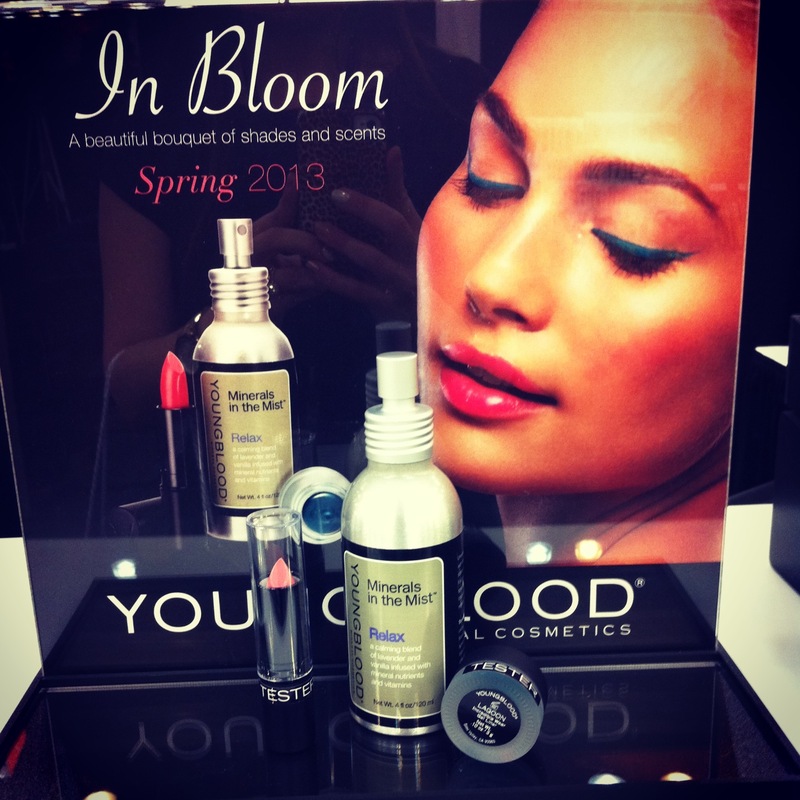 Crystal showed me all the new stuff going on at Youngblood, including their new spring line “In Bloom,” which features a revitalizing mineral mist spray, a lovely pink-peach lipstick and a gorgeous teal gel liner. I noticed a lot of makeup vendors were missing this year, and I think it’s because of the date change. I can see why some companies didn’t want to come back only 6 months later. 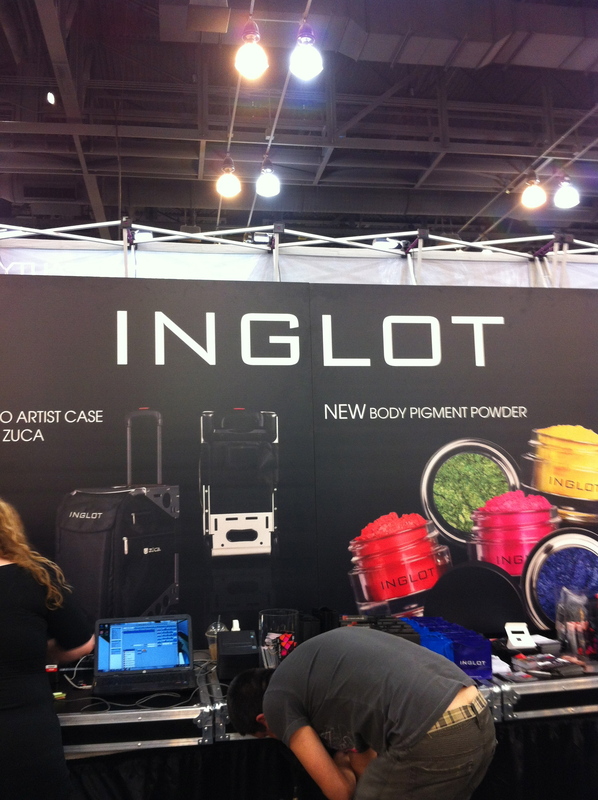 Too Faced, Makeup For Ever and Urban Decay were all absent, but Inglot thankfully was there in full force. Lime Crime’s Uniliner in Rhyme and Velveteen matte gloss in Red Velvet, a glitter polish with big and small particles of gold glitter and Inglot’s #77 black eye liner gel, which everyone has been raving about. Did any of you go to the IMATS this year? What brand were you most excited to see? Was there any that you missed? Omg, I love Jorge! I went to IMATS on Saturday as I’m not a professional, and didn’t see him. You scored Red Velvet, that’s so cool. It was totally sold out by the time I got there, so I got Suedeberry instead. I can’t wait to go again next year, as I was hoping NYX would be there. Too Faced was at Naimies, and they had the airbrushed BB compact foundation for 40% off! Unfortunately, it’s much too drying for me and looks horrible.